Now available, with a new Foreword written by the publisher, in a limited edition of 650 copies only. From the modern naval novels of C. S. Forester and Patrick O’Brian, the reader is taken right to the front of many hard fought actions during the days of fighting sail. We know that both authors drew widely upon contemporary accounts in order to ensure historic accuracy. With their added skills in written description and created dialogue, all the flavour of ship board life and the desperate struggle of winning in single ship or fleet actions is brought alive within the reader’s imagination. But was there something else to assist the author’s eye in seeing the condition and effect of the weather on a full rigged man of war? Was there a source for viewing the positions of opposing fleets at critical moments in a major engagement or in the quick witted manoeuvre of a frigate captain which exposed his enemy’s stern to a raking broadside? 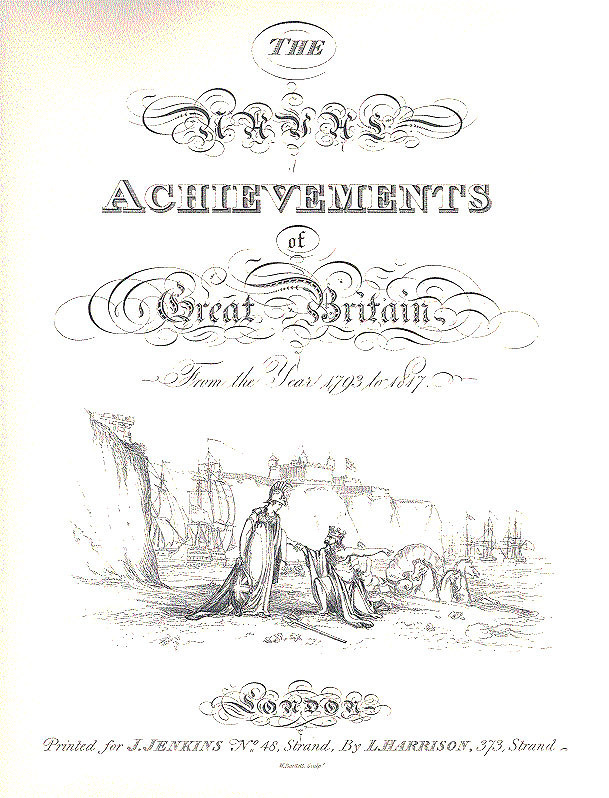 "Yes", is the answer, and probably the most important contemporary visual source is found in The Naval Achievements of Great Britain, 1793 to 1817 by James Jenkins, which was first published in 1817. 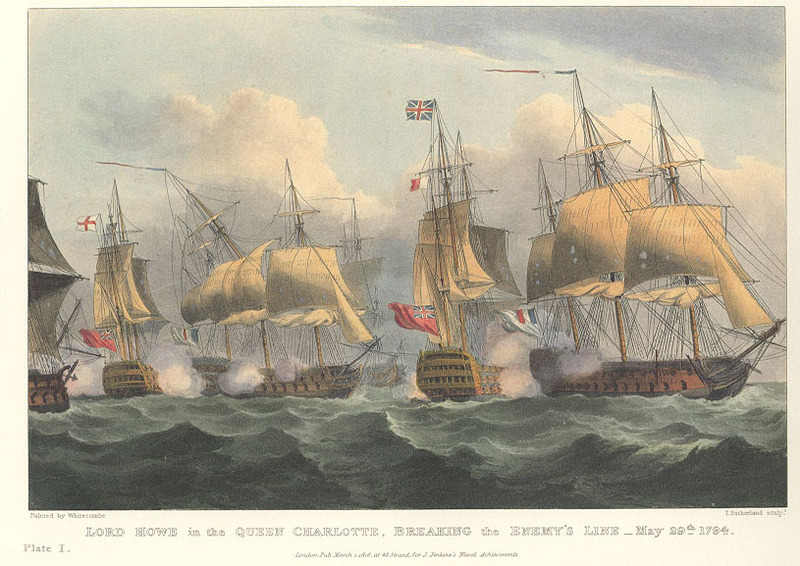 In the words of Roger Quarm of the National Maritime Museum, Greenwich, England: "As a record of naval events spanning a period of over twenty years Jenkins' Naval Achievements has no precedent. At no time prior to 1817 had a publisher attempted such a complete volume of documentary naval prints. "It is the quality of the accuracy which makes Jenkins so valuable above all, and it is the pictures rather than the text to which the value can be attributed." Fifty five water-colours were painted by Thomas Whitcombe (54) and Nicolas Pocock (1) which formed the basis for the coloured aquatint plates that are the body of this large format presentation of sea fights. Jenkins has not been reprinted since its last printing around 1830, and today it is a very scarce book caused mainly by the original volumes being broken up, so that the plates may be framed and sold individually. Today, a single plate from Jenkins sells for around £250.